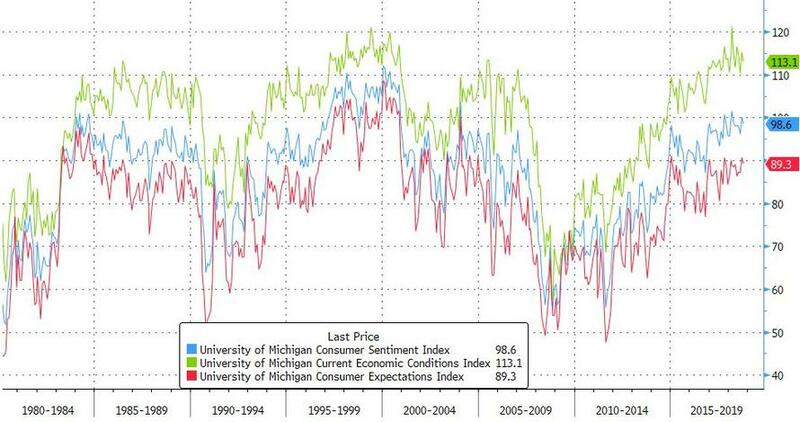 Following a jump in October's preliminary prints, University of Michigan sentiment survey weakened modestly to its final print of 98.6 (from 100.1). 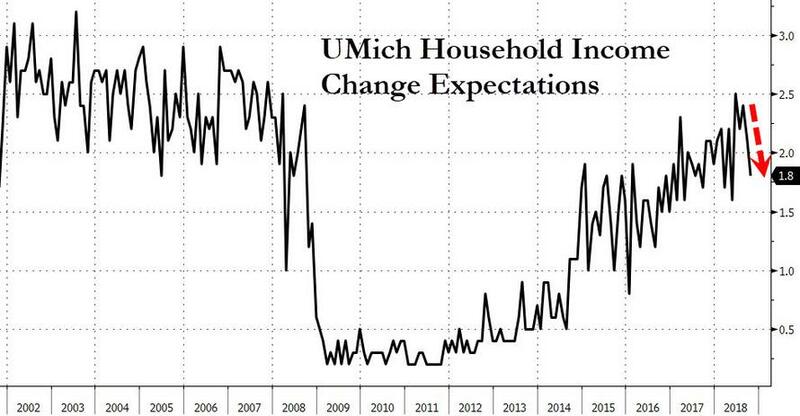 As UMich notes, stock price declines, rising inflation and interest rates, and the negative mid-term election campaigns, have not acted to undermine consumer confidence in any major way (yet). 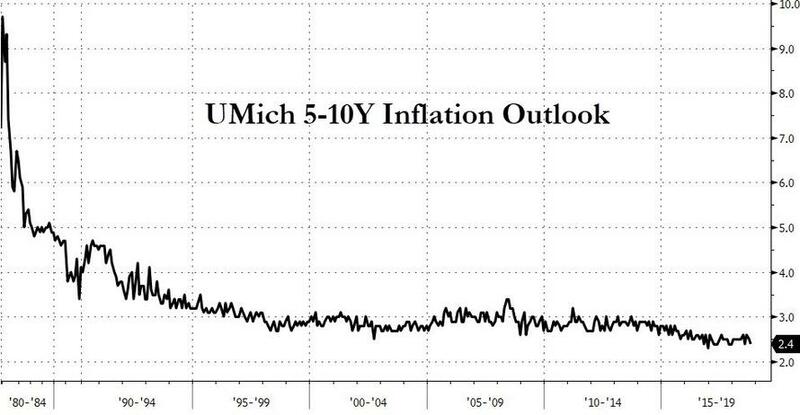 The data only indicate that the tipping point toward escalating pessimism has not been reached. 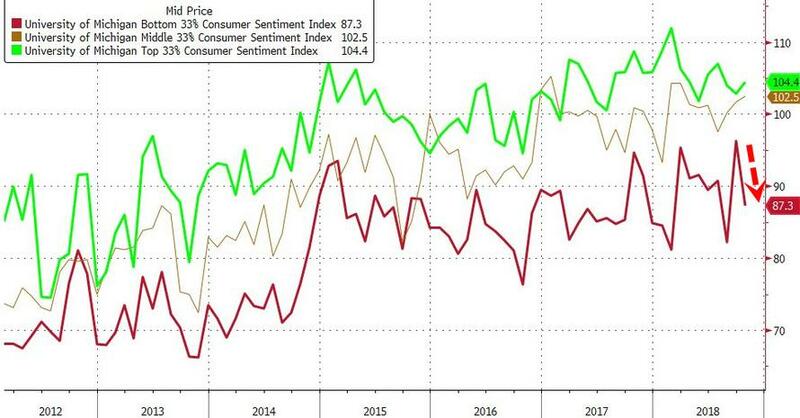 This resilience was primarily due to the prevailing belief that the economy would produce robust job growth during the year ahead, even if overall wage growth remained dismal. 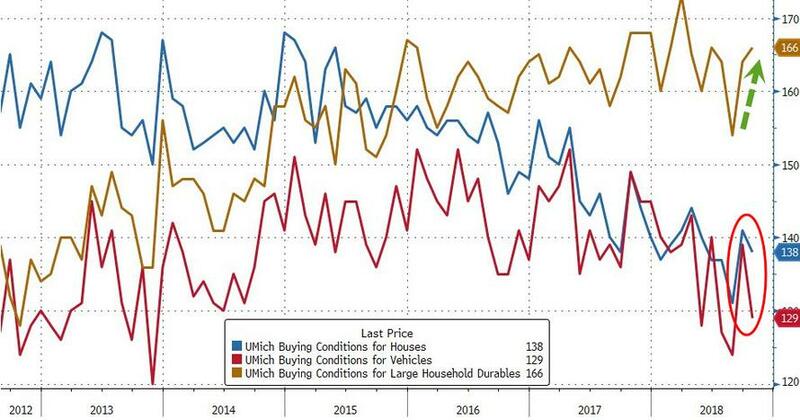 Increases in home and vehicle prices, rising interest rates, and decreases in the pace of growth in inflation-adjusted incomes have especially dimmed prospects for home and vehicle sales.